Recently one of my customers face a problem with Autodesk Autocad 2009 version. They received a autodesk autocad drawing file from some sources and as soon as they open the file they get an error dialog saying : “Produced by An Autodesk Autocad Product”. Thus as soon as they plot the drawing they also get the same stamping on the print out also. Not only that the same problem cause Autocad to perform slower then it works with the file created with the license version. So in order to resolve the issue we find out the following solution. Open the file giving error with the above message. Once the file is opened in Autocad then type “dxfout” in the command line at the bottom of the drawing area and press enter. On doing so you will find a “Save As” dailog appeared in front of you. 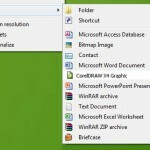 Save the file with desired name at a location from where you can access the file easily. After saving the file type “dxfin” in the command line which will enable to import the .dxf file. When you are asked to open a .dxf file kindly browse and select the saved file in step 3. Once you get the .dxf file opend then save the same file with .dwg extension. After performing the above steps try to open the new .dwg file. Hopefully the “Produced by An Autodesk Educational Product” stamp should be removed from the file. We wish the above solution might work for you.